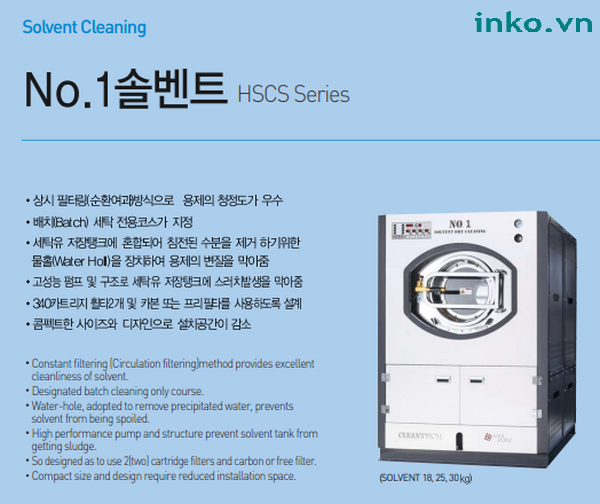 With dramatic improvements, series industrial dry washing machine brand HS Clean Tech HS the perfect choice for every home. - There is no need of 2 trays chemical because filters designed continuous filtration, always keeping for clean chemical solvent. So wether white fabric or color fabric colors are also cleaned easily. - Using high capacity of chemical pump, so there is little sediment impurities, no need of cleaning chemical tray frequently as the same products.